Spending the day perusing museums in Houston is a great way to beat the heat, but you will also work up quite the appetite. Luckily, Dak and Bop is located conveniently near the Museum District. The restaurant is bright and airy with indoor and outdoor seating. Garage or street parking is available. The wait can sometimes be long, but it’s definitely worth it. Dak and Bop specializes in Korean Fried Chicken. This is not your ordinary fried chicken. 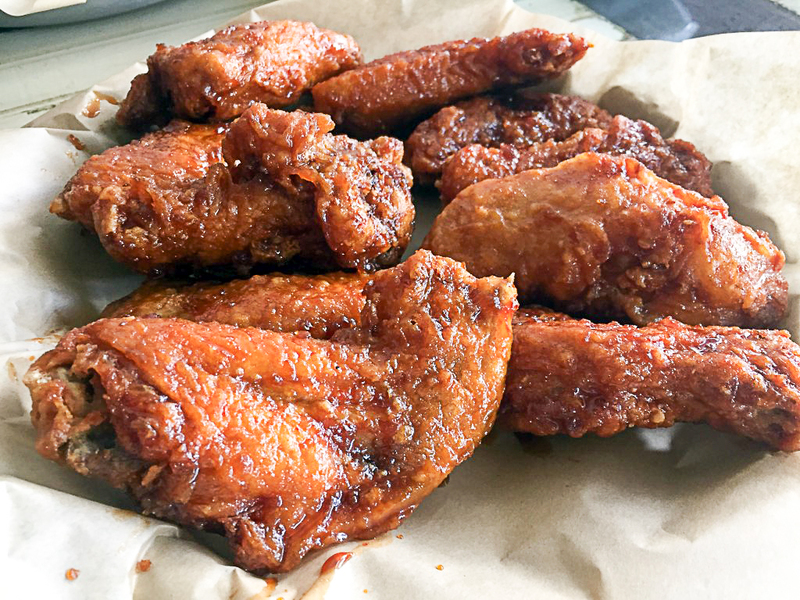 Korean Fried Chicken is double fried which produces a crispy, almost transparent crust with less grease than your normal fried chicken. The inside is tender and juicy and the outside is coated in one of five different sauces ranging from non-spicy to spicy. The chicken at Dak and Bop comes in your choice of wings, strips, or drumsticks. You can place single orders of each variety or a combination basket that includes some of each type. 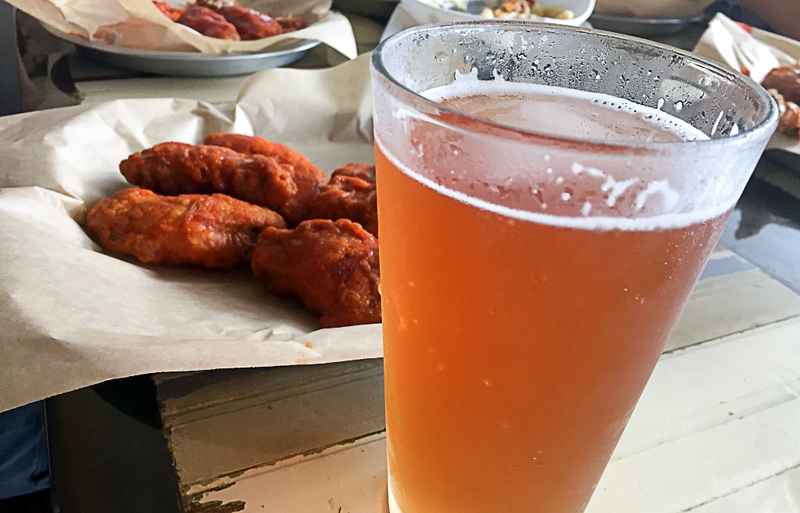 Sriracha honey-lime is a nice interesting flavor and buffalo hot provides a subtle heat that would be familiar to most hot wing connoisseurs. The spiciest sauce available, the hot & spicy, provided a pleasant slow burn, but nothing that is mouth numbing or requiring the cooling effects of a glass of milk. Double saucing is available for a one-dollar extra charge and well worth it if you like your wings with some serious coating. There are dipping sauces as well, but totally not necessary since the chicken is flavorful enough all on its own. Be prepared to wait up to 30 minutes since all chicken is cooked to order. In the meantime, enjoy one of the many local craft beers on tap. Cocktail lovers can choose from classics such as a Pimm’s cup, blood and sand, or a ginger Manhattan. 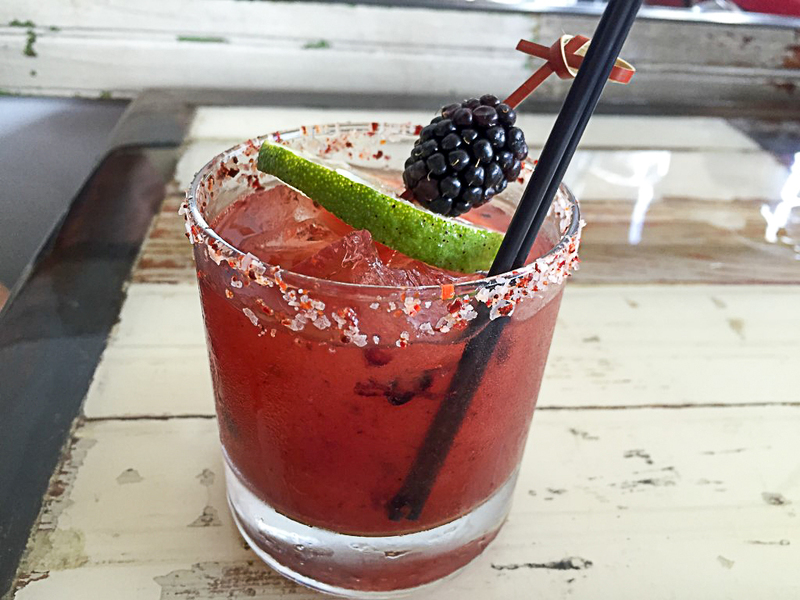 Dak and Bop’s signature cocktails are not to be missed, especially the Blackberry Chili Margarita with tequila, fresh lime juice, jalapenos, and Korean chili powder. It is fruity with just the right amount of spice. Adventurous drinkers will want to explore the extensive list of international whiskies. There are also many unique appetizers perfect for snacking on while you wait. 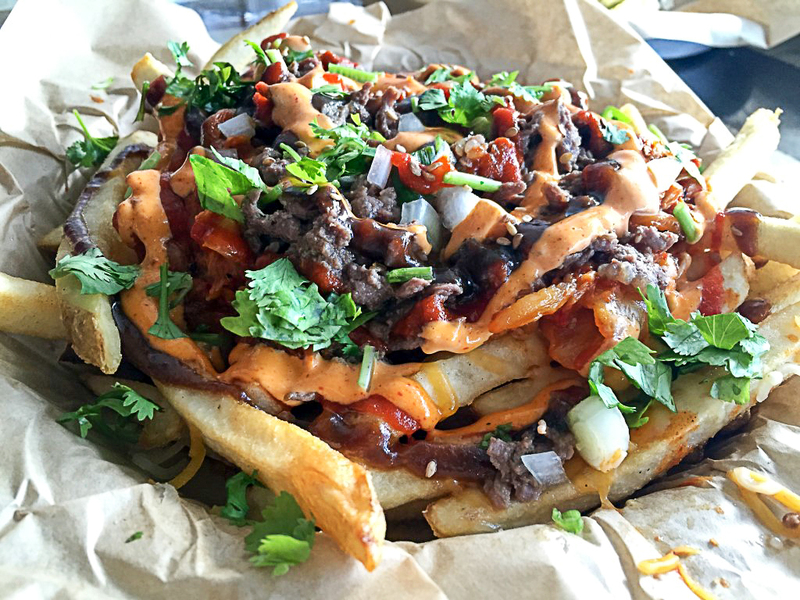 The menu contains an assortment of Asian Mexican fusion small plates and sides. 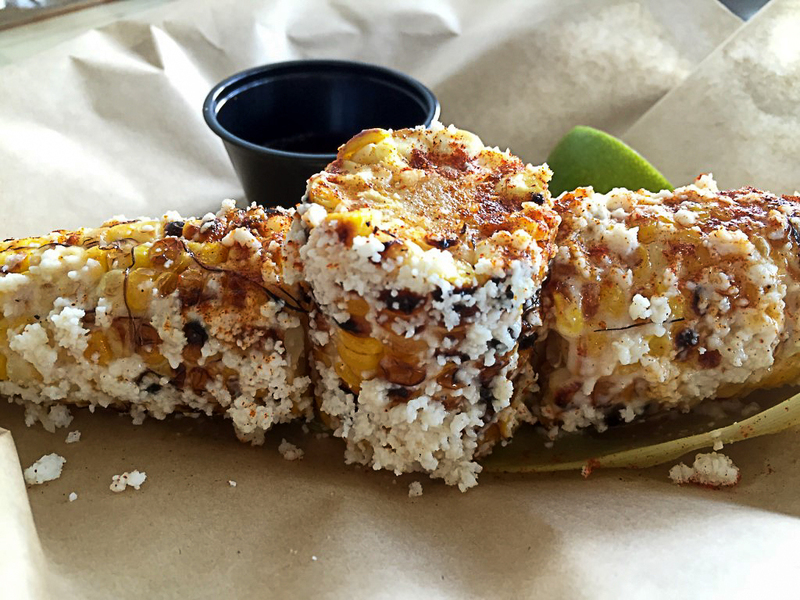 Creamy mac and cheese is topped with bulgogi, pillowy bao are filled with carnitas, and Mexican elote is served topped with mayo, cotija cheese, and paprika. Don’t miss the fusion empanadas. 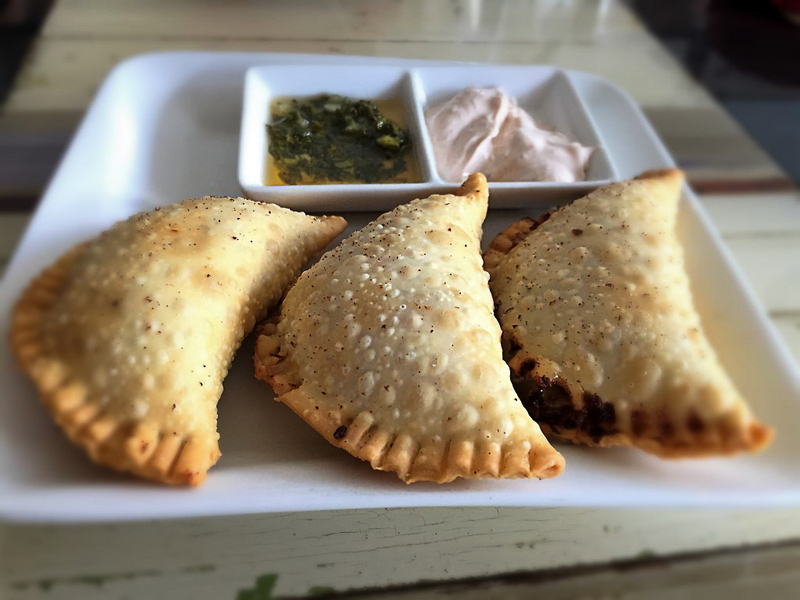 The light and flaky empanadas are filled with an interesting array of fillings such as kimchi, bulgogi, or even chicken pot pie. 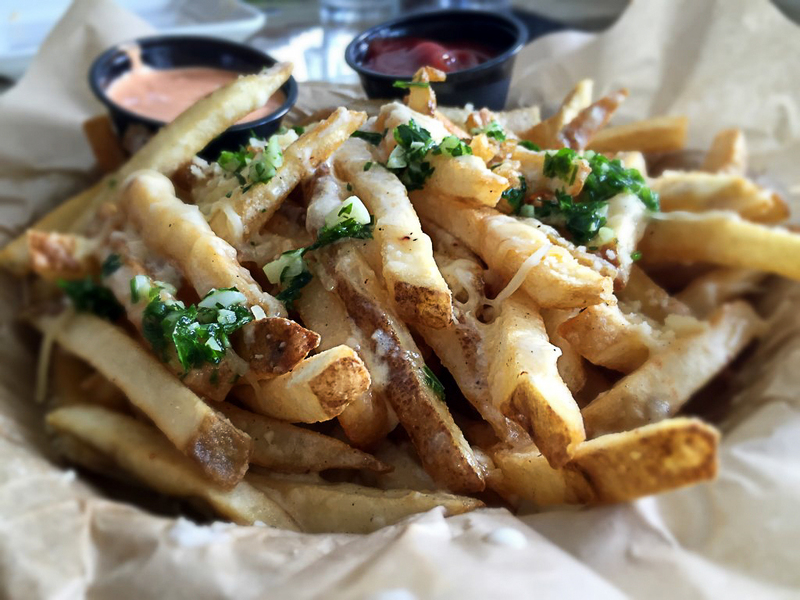 You’ll definitely want to get a large order of parmesan truffle fries. They are fried crispy and delightfully indulgent. With so many temptations on the menu, hopefully you’ve saved room for your chicken. 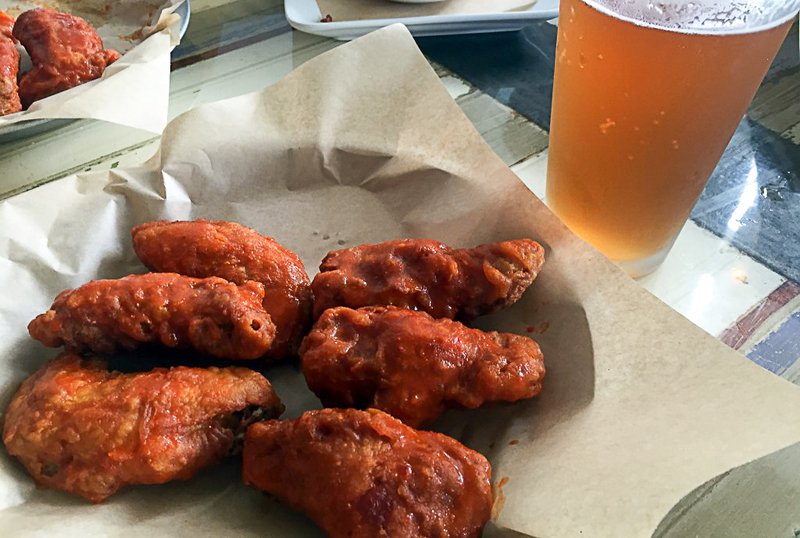 Once you take that first bite into Dak and Bop’s Korean Fried Chicken you will be hooked.